5 - 5,5.......Vello von Fürstenfeld. Briska's Frigga Futura is HD and PHTVL/PHPV free. Her sire, Cäsar von der Klingenstadt, passed the Swedish Körung and came from the same combination that produced the legendary von der Weyermühle “A” litter (Bingo von Ellendonk x Cona von Niederkassel). 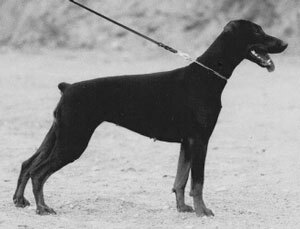 Frigga Futura's dam, Briska's BriBinna, passed the Körung in Sweden (Korad) and became Swedish Show Champion. Grace: LP 3, HöSök and passed the Körung in Sweden. She is dam of Briska's “I” litter (Ike).